Harder… Darker… Stronger… was the tag-line and ‘Disconnect/Reconnect’, the third studio album from The Japanese Popstars, proved to be a big success for John Digweed’s Bedrock label. Gary Curran and Gareth Donoghue kick-off the 2014 release schedule with a revisit to three of the album’s boldest tracks, with heavy-duty remixes from London based Sharooz and Barcelona’s Coyu. The melodic ‘Vision’ and insanely noisy ‘Heavy Hitter’ battle it out, being so distinctly different in attitude. It was the original version of ‘Matter Of Time’ (featuring Green Velvet on vocals) that took the 2012 IMS by storm, catching the ears of Laurent Garnier, Francois K, Carl Cox and John Digweed, who promptly signed TJP to Bedrock. Now, for 2014, it reappears with a Coyu Remix. With his Suara label possibly currently one of the most prominent imprints in the world of techno, Coyu’s pedigree is of the highest order and he stands as one of the most charted artists in Resident Advisor's history. 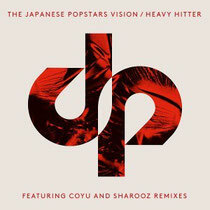 Sharooz (owner of La Bombe), twisted remix of ‘Heavy Hitter’ is impressive and should do well on the floor. The tracks are released tomorrow on Bedrock Records. Download their recent set from Ministry of Sound below.